Be more vibrant and spectacular. 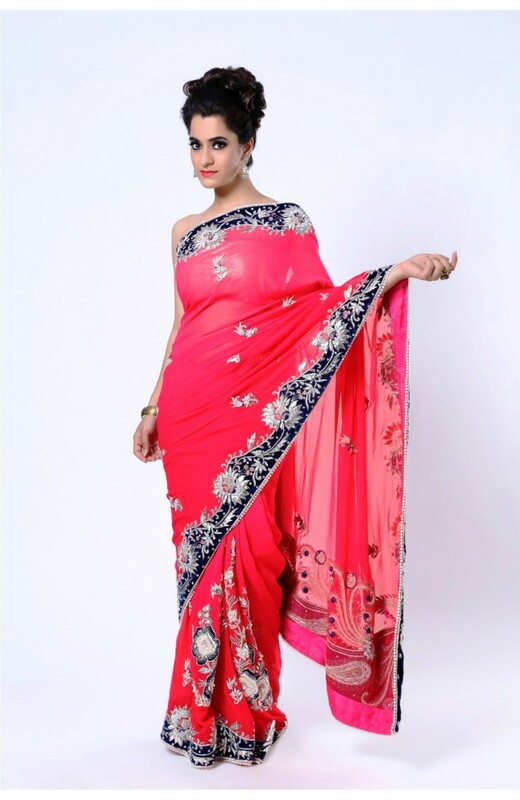 Choose this extravagant pure georgette saree in coral red to make a lasting impression. With a contrasting border and a matching velvet blouse, this saree highlights the refined artisanship through its detailed embroidery. 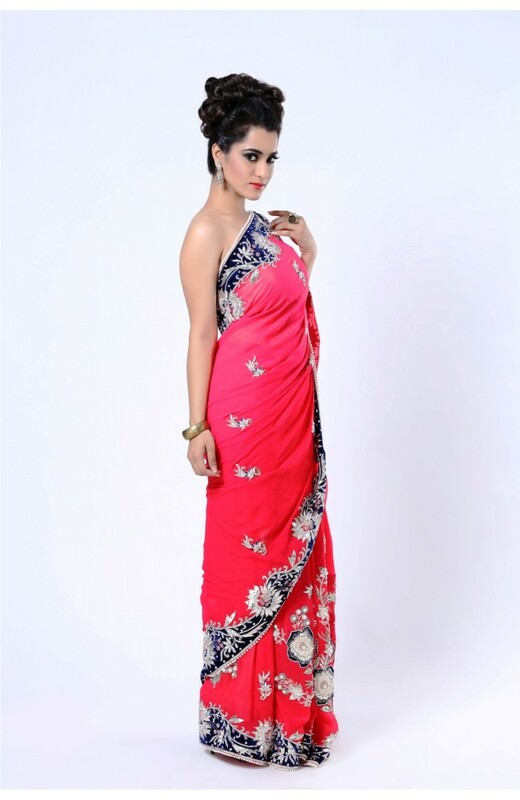 Inspired by the beauty of nature, the large and intricately woven floral motifs include pearl, gotta, crystal and zardosi work. 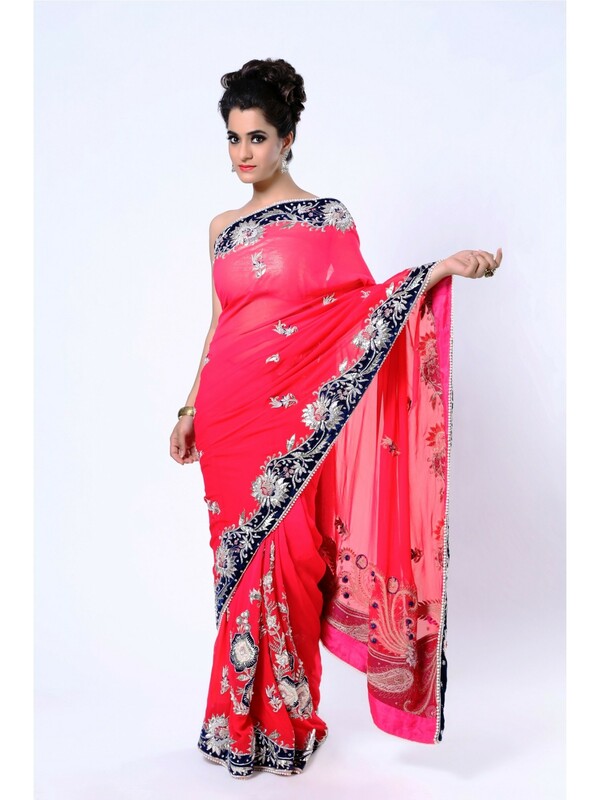 The border is also richly decorated, making this saree a showstopper.